Barrows collects data and prepares recommendations on individual workstation, department and total space requirements – including areas designed for equipment and mail distribution and team planning. 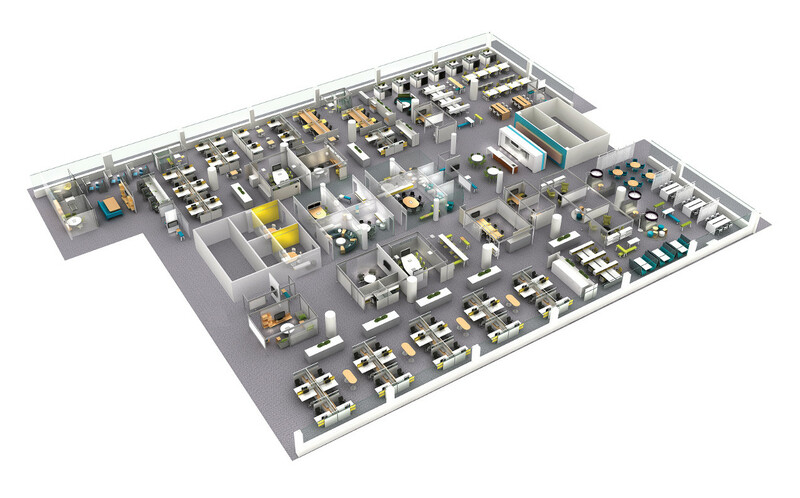 Space Planning is a critical step in which we integrate the anticipated outcome of the work people do along with the room required to achieve maximum productivity. The key objective is to make the most effective use of space. Are the cost, function and aesthetic values of the design consistent with the organizational objectives? Does the space plan provide the necessary features for the individual to perform effectively? What is the turn rate in the organization – that is, how often do you move or replace individuals or groups? How might your industry’s technology change in the near future? What environmental or safety issues is the organization facing?